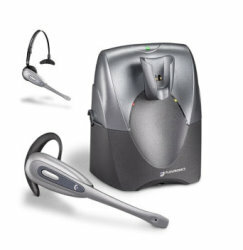 1) CS540 – Right out of the gate the new CS540 is fast becoming the headset of choice for wireless communication among businesses both large and small. With all the latest technology built into it, besides offering the lightest headset on the market, it’s no wonder it’s shooting up the popularity charts. 2) CS55 – Still one of our most popular headsets. With two different ways to wear the headset, 10 hours of talk time, ease of use and 300 feet of roaming distance, it’s not hard to see why people enjoy this little workhorse. 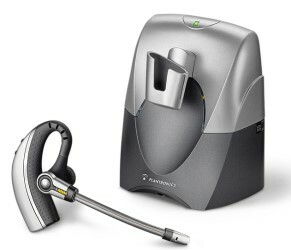 3) CS55/Hl10 – Combining their most popular wireless headset with their signature handset lifter, Plantronics offers you the freedom to take calls wherever you are and be more productive. It’s the perfect package to get you started in wireless communication. 4) CS70N – Weighing just 25 grams and offering a selection of different size ear buds, the CS70N is still one of the most comfortable headsets to ever rest on an ear. A discreet and effective way to stay connected around the office. 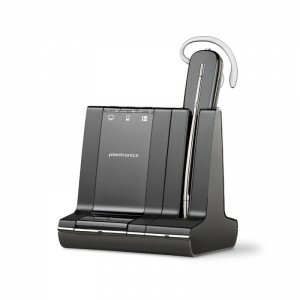 5) W740 – One of the new flagships from Plantronics, the W740 is the comfortable way to always stay connected whether you’re on your phone, computer or mobile. 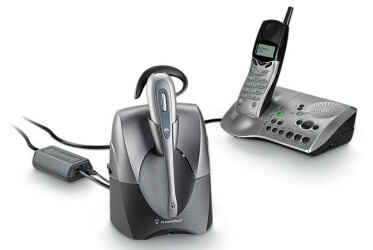 Incorporating all the latest wireless technology, the W740 Savi makes talking on the phone fun.